Emmanuel Macron won France’s presidential election Sunday after his opponent Marine Le Pen conceded shortly after polls closed at 8 pm. Le Pen called Macron to concede the election after the centrist candidate was projected to have won approximately 65 percent of the vote in the country’s run-off election. Reports showed a low voter turn out for an election that was considered to be a determining factor in France’s future in Europe. “A new chapter in our long history begins tonight. I want it to be one of hope and renewed confidence,” said Macron after his victory. Le Pen noted that French citizens voted for “continuity.” She promised to create a “number one opposition force” to counter globalization in France, calling upon “all patriots to join” her new movement. 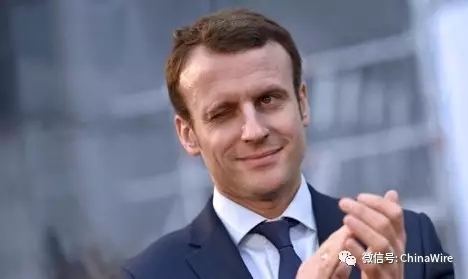 The 39-year-old Macron is France’s youngest leader since Napoleon Bonaparte and comes into office as a relative unknown with limited political experience as a former economic minister. Le Pen, a known skeptic of the European Union, has long advocated for a “France-first” policy, specifically regarding immigration and economics. She warned in March that the EU “will die” and promised a referendum on France’s membership in the union. Macron promoted a more pro-business and pro-European policy, although he has called for EU reforms. He told the BBC last week that he would have a “mandate” the day after the election to reexamine France’s place in the union. Failure to do so would lead to a “Frexit” or a win for the National Front, he added. Macron’s electoral battle is not over. French citizens will once again go to the polls in June for parliamentary elections. Election analysts claimed that Macron would need at least 60 percent of the vote in the run-off in order to properly implement his centrist policies. Le Pen said she will be “at the head” of the fight leading up to the election.